INS Trikand, a front-line warship of the Indian Navy, participated in a multinational training exercise ‘CUTLASS EXPRESS–19’ held from 27 January to 06 February 2019. 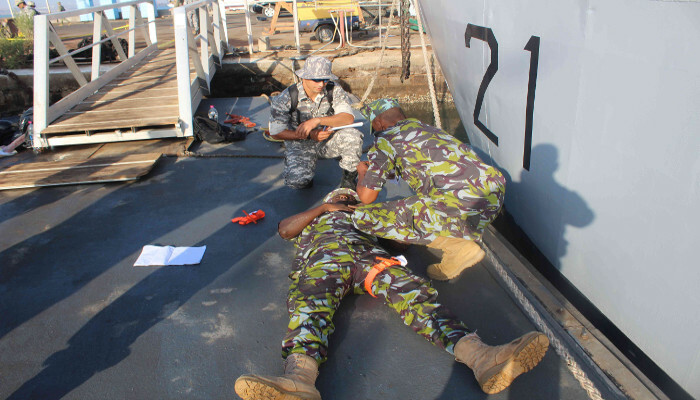 The aim of the exercise was to improve law enforcement capacity, promote regional security and progress inter-operability between the armed forces of the participating nations for the purpose of interdicting illegal maritime activity in the Western Indian Ocean. 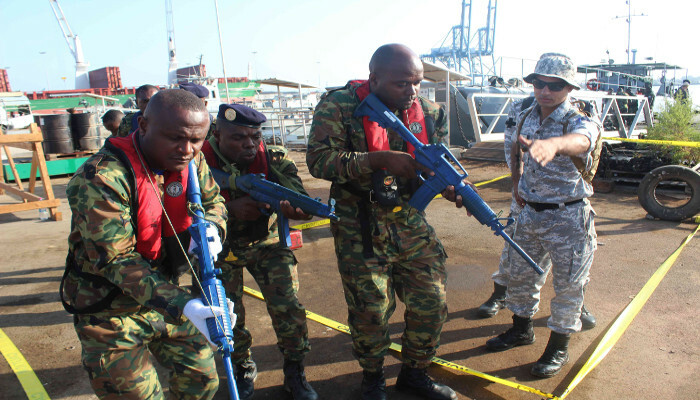 During the exercise, Naval, Coast Guard and Marine Police personnel from a number of East African countries were jointly trained by mentors from USA, India, and Netherlands, with support of international organisations like the International Maritime Organisation, Combined Maritime Force and European Naval Forces. The Indian Navy played a significant role in ‘CUTLASS EXPRESS–19’, being involved in planning, coordination and execution. Through INS Trikand, the IN provided a platform for live Visit Board Search Seizure drills, which proved to be of immense training value to the participating nations. The exercise was conducted in two phases. The first, called the Command Post Exercise (CPX) was conducted from 27 January to 02 February 2019. It involved training of personnel on shore for coordination and conduct of VBSS operations. During the CPX, extensive training and interaction was carried out between the officers and sailors of the Indian Navy and personnel from the participating nations. The training included exposure of the personnel to the various software tools used by the US Navy and the European Union for integration of maritime information, with a view to positively identify a suspicious vessel and direct a VBSS operation against it. The second phase called the Final Training Exercise was conducted from 03 to 05 February 2019. This phase consisted of actual boarding operations at sea and live boardings were out onboard INS Trikand, anchored off Djibouti harbour. The closing ceremony of the event was held at the Djibouti Naval Base on the morning of 06 February 2019. 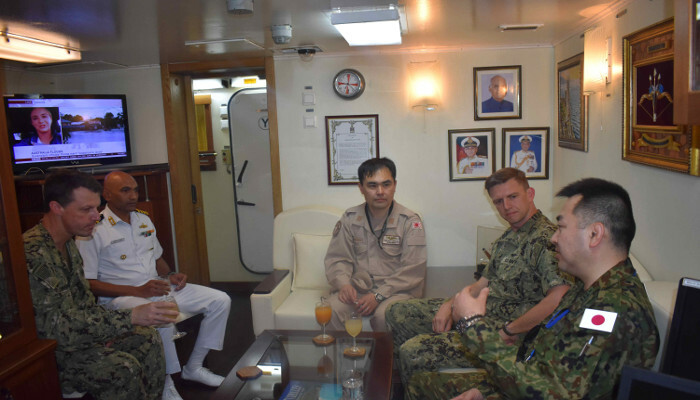 The ship’s stay at Djibouti harbour also enabled the crew to interact professionally with the crew of other ships in harbour, including the Japanese Maritime Self Defense Force Ship Samidare, Spanish Naval ship ESPS Relampago and United States Ship Chung Hoon. 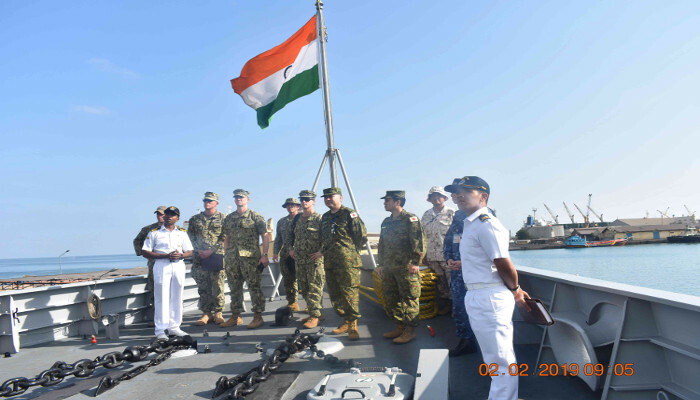 Mutual ship visits were organised with a view to promote inter-operability between the Indian Navy and the other navies, as also understanding of best practices. Officers from the ship’s Operations team also visited Camp Lemonnaire, the American base at Djibouti. During this visit, the Commanding Officer called on Major General James D Craig, US Army, Commander Joint Task Force–Horn of Africa. The IN officers also visited the Japanese military base at Djibouti, where they were briefed about the JMSDF operations towards anti-piracy in the region. INS Trikand, commanded by Captain Srinivas Maddula, is equipped with a versatile range of sensors and weapons enabling her to address threats in all the three dimensions–air, surface and sub-surface. The ship’s extended endurance at sea makes it an ideal platform for prolonged deployments, including the present one, in which she is carrying out Presence and Surveillance missions and Anti-piracy operations in the Gulf of Aden and Western Arabian Sea. The ship is a part of the Indian Navy’s Western Fleet and operates under the Flag Officer Commanding-in-Chief, Western Naval Command, headquartered at Mumbai.